William Nordhaus believes that climate change can best be addressed by ensuring the correct pricing for polluting resources like fuel through government intervention – in other words, through higher taxes on petrol and diesel. "The main recipe to alleviate climate change is to make sure governments, corporations and households face a high price on their carbon emissions. Paul Romer, meanwhile, remains a potent force among policy economists. He puts the integrity of the data you use, and the clarity of the conclusions you draw, above everything else. This is why, for example, he hit the headlines in India earlier this year - for questioning the rationale behind the World Bank’s revision of its Ease of Doing Business Index, a revision that incidentally or not-so-incidentally sent India 30 places higher. India has remained obsessed with cheap capital and infrastructure spending when instead the central constraint on Indian development remains the abysmal quality of Indians’ skills, says Mihir Sharma. The 2018 Nobel Memorial Prize for Economics is a landmark in the award’s history: It is the 50th to be handed out. And, in some ways, it is exemplary of the Economics Nobel’s recent evolution towards rewarding economic theory with a direct practical and political implication. 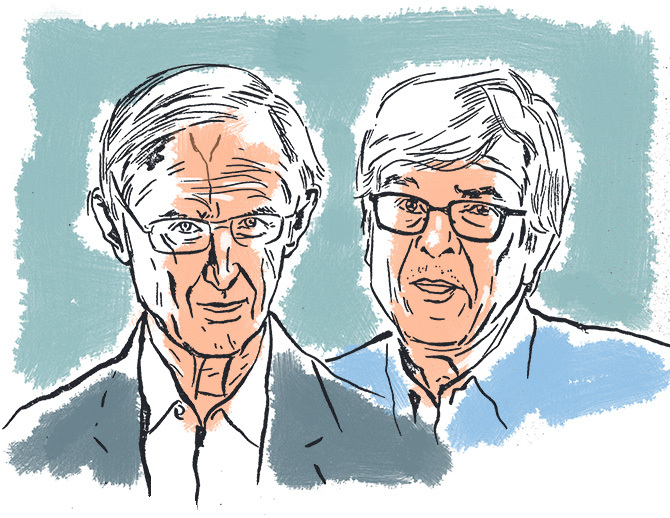 It has been awarded to two American economists, William Nordhaus and Paul Romer, fo - in the words of the Royal Swedish Academy of Sciences - integrating climate change and technological innovation respectively into long-run macroeconomic analysis. Romer himself argues that Nordhaus and he also share a fundamental optimism about human ability to change the direction of economic activity: Nordhaus believed and still believes that concerted international action has a hope of dealing with the negative effects of anthropogenic climate change, and Romer has sought to ensure that innovation and human capital are integrated into the programmes of both developing and developed economies. Both the laureates’ life-work can also be seen as running against the traditional model of development and growth that was influential in the 1950s, and still is the primary motive for much economic policy in countries such as India today. Prior to Nordhaus and Romer’s interventions - in the 1970s and late 1980s respectively - the study of economic growth was dominated by models developed by, among others, the 1987 Nobel laureate Robert Solow. His growth model decomposed the sources of growth, providing a relationship between the growth of the workforce and of capital available with long-run economic growth. Yet this was, in the end, a somewhat dry accounting identity. When taken to the data, it became clear that much of real growth came from a mysterious residual element that economists called “total factor productivity”. What increased this measure of productivity? This is where Romer came in, arguing that innovation and human capital were essential to the modelling of growth. Nordhaus’ contribution was even more disruptive of the Solow model, since it undermined the very notion of growth accounting itself. He viewed the concept of gross domestic product as problematic - it did not take quality changes into account. Worse, it rewarded productive activity that over-consumed finite natural resources. What would this mean in an Indian context? For example, Nordhaus would never trust double-digit growth that came alongside the improperly priced utilisation of minerals and forest land. Only once the permanent loss of those resources to the economy is properly factored in can growth be considered relevant for policy. This casts into question the entire growth accounting exercises of successive Indian governments. Did Nordhaus have an alternative? Well, yes: In the 1970s, he helped create, together with 1981 Nobel laureate James Tobin, one of the first modern attempts at an indicator of changes to a “national balance sheet” that included non-market “commodities” like forest cover. Nordhaus was thus thinking about the environment well before it was cool, starting in the early 1970s. In his later career, Nordhaus naturally became one of the leading forces arguing for a proper response to the problem of climate change. His models that integrated population growth, fossil fuel use, income growth, and global warming became the basis for most calculations of the costs and benefits of various anti-global warming interventions. Like most economists Nordhaus believes that climate change can best be addressed by ensuring the correct pricing for polluting resources like fuel through government intervention – in other words, through higher taxes on petrol and diesel: “The key insight of my work was to put a price on carbon in order to hold back climate change. Carbon taxes have unfortunately failed to become the norm in international discussions about climate change. This is particularly unfortunate for India. As former Chief Economic Advisor Arvind Subramanian has repeatedly argued, India has among the highest carbon taxes when normalised by per capita income in the world – demonstrating an unusually active stance against pollution and greenhouse gases. While Nordhaus has warned that delayed action in introducing a high carbon price has significantly increased the eventual total costs of combating climate change, he was long an optimist that international action to preserve the biosphere remained possible. Today, however, after the farce that is the self-regulated and low targets of the Paris Agreement on Climate Change, the 77-year-old Nordhaus is less sanguine, writing last year that it was “no longer practically feasible” to keep the rise in global average temperature below two degrees Celsius. Romer, meanwhile, remains a potent force among policy economists. The development world that was once ruled by those - not just disciples of Solow but also Marxist-Leninist planners - who believed that the mobilisation of resources such as capital was central to the growth process is now dominated by those following in Romer’s footsteps, and focusing on technological innovation and skilling of the workforce as the real sources of sustainable growth. Again, however, India has lagged behind somewhat here. The Indian government’s approach to growth enhancement has been as if Romer did not exist; we have remained obsessed with cheap capital and infrastructure spending when instead the central constraint on Indian development remains the abysmal quality of Indians’ skills. Romer is also a role model for economists - one recent book about the wars within economics described him as a rebellious “Han Solo” sort of figure. Romer spoke out although he himself was the Bank’s chief economist - and eventually left the position because of it. If only more economists had the prescience of Nordhaus and the integrity of Romer.